The VLJs have arrived!! And for those who’ve just been tossing those aviation mags into a pile, our skies are soon to be swarming with personal jets, in answer to NASA’s early-nineties proclamation of a personal jet transportation system for the masses. These little jet speedsters have affectionately been coined VLJs, or Very Light Jets, although some aircraft manufacturers are calling them “Personal Jets.” An apt name considering their target is the owner-flown pilot population wanting to step up from high-performance piston singles or twins. Deliveries have already begun from Eclipse and Cessna, with other newcomers soon to follow. A Very Light Jet is industry-defined as weighing 10,000 pounds or less and certificated for single pilot operations. The NBAA also defines a VLJ as possessing advanced cockpit automation—such as moving map GPS and multi-function displays—automated engine and systems management, and integrated autoflight, autopilot and flight-guidance systems. The price of entry into this aviation segment varies from 1 to 3 million dollars, placing them well within range of a growing business or upwardly-mobile professional. Their ultimate utility is realized when more than 5000 small airports are opened up, bypassing the airlines hub-and-spoke system. 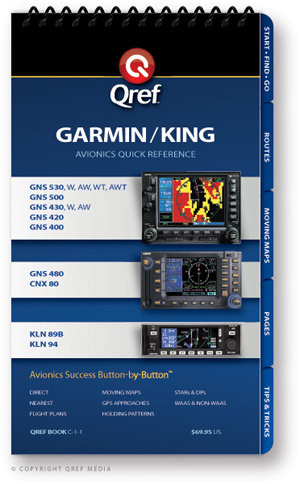 As for the avionics in these VLJs, Garmin and Avidyne integrated systems are popular, but other up and coming avionics manufacturers are also experiencing their debut in VLJs. Eclipse even designed their own integrated avionics package. Adam’s follow-on jet to the innovative A500 centerline-thrust twin is the A700, twin-engine personal jet. The airframe and most of the components are carried over directly from the push-pull piston A500. Close to certification, the eight-seat A700 has one of the largest cabins in the VLJ class. The A700 avionics suite includes a three-display Avidyne Entegra system interfaced with dual Garmin 430s. The PFD displays all attitude, heading, airspeed, altitude and vertical speed data, as well as flight director command bars, heading, and altitude preselects. In addition, Multi-Function Display (MFD) capability will provide all navigational information along with engine instrumentation. Maximum situational awareness is achieved with the display of weather, traffic, and terrain data. An AHRS and DADC round out the package with a Meggitt three-axis digital autopilot, yaw damper and flight management system. Adam Aircraft will allow individual avionics shops to provide maintenance on the Avidyne and Garmin avionics if they are already certified as a dealer for those units. As the need arises, Adam will certify avionics shops to perform pitot/static inspections or repairs, and provide support for field installations. An avionics shop should contact Adam Aircraft before contemplating any installations or specialized maintenance procedures. Creating the fighter-like Javelin, Denver-based Aviation Technology Group (ATG) selected Op Technologies as their primary avionics system supplier for their tandem, two-place jet. The Op Technologies Pegasus avionics package includes an Integrated Display System (IDS) and a Multifunction Control and Display Unit (MCDU). The entire avionics package is conveniently grouped on the instrument panel to promote heads-up operation for reduced pilot workload. The IDS consists of three 5x7” portrait display units in both the forward and aft cockpits. The individual displays function as a Primary Flight Display (PFD), a Multi-Function Display (MFD), and an Engine Instrument and Crew Alerting System (EICAS) with system synoptic pages specifically designed for the Javelin. Above the PFD is a smaller display and keyboard through which the flight management system is controlled. This unit also controls the head-up display (HUD), offered to Javelin owners as an option. Primary communications and navigation equipment, also provided by Op Technologies and their strategic partner Sandia Aerospace, includes dual VHF communications transceivers, dual navigation receivers, dual WAAS/GPS receivers and a Mode-S transponder. Initial customer deliveries of the FAA-certified Javelin are slated for 2008. All avionics related warranty service is handled through Op Technologies, who will compensate their avionics dealers for any R&R or troubleshooting costs. Of course, performing pitot/static certifications may require specialized equipment or procedures and ATG should be consulted before beginning any inspections or repairs. The latest offering in the Citation line is Cessna’s official entry into the VLJ market, the Mustang. Although, it could be said that Cessna was the creator of the VLJ concept back in the early seventies with their Citation 500. The Mustang comfortably seats a pilot and five passengers in their usual Citation style. The simplicity of the design easily affords a single-pilot certification. The Mustang’s Garmin G1000 avionics suite features two 10.4” PFDs and a 15” MFD. The suite includes a glareshield-controlled GFC700 AFCS, broadcast graphical weather, dual RVSM-compliant flight data computers. The WAAS-capable navigation system features LPV approaches that provide both lateral and vertical guidance. The Garmin G1000 avionics suite also includes SafeTaxi, which gives a graphical representation of the aircraft in the airport environment. Cessna will continue their excellent Citation service to the Mustang through their Service Centers. Therefore, any avionics shop currently maintaining Citations will be able to offer their Mustang customers the same service. Co-founder and Vice-Chairman Dale Klapmeier commented, “We are still in the early design and development phase and didn’t want to limit ourselves in any way. It is also important that any data we released was absolutely accurate.” There are many more details to be announced, and information will be released as they are finalized. “So far we can confirm that ‘the-jet’ will be powered by a quiet, efficient and lightweight William’s jet engine that will give the aircraft great utility, economy and simplicity never before seen in this market,” Klapmeier concluded. At press time, Cirrus hasn’t announced an avionics supplier yet. But rest assured, their continuing innovative streak will continue with the “the-jet.” Stay tuned! Diamond Aircraft calls their first jet a Personal Jet. The single-engine composite D-Jet is intended for owner-flown operators, accommodating five people comfortably. The exciting front seats are offered a view of a three-screen Garmin G1000 suite. Dual 12” Primary Flight Displays flank a central 15” Multi-Function Display. As standard equipment, the D-Jet includes a center-console mounted FMS controller, a single lever throttle controlling the FADEC-equipped Williams FJ-33-4A engine, and a glareshield-mounted autopilot controller for the Garmin GFC700. In addition, the D-Jet features dual ADHARS, dual magnetometers, WAAS-enabled GPS, Mode-S transponder, TAWS-B terrain alert and dual audio panels. With over 26 years experience manufacturing composite aircraft, Diamond Aircraft pioneered many innovations in the avionics and turbodiesel technologies. They were the launch platform for Garmin’s now industry-standard G1000 glass cockpit. As with other VLJs equipped with the Garmin G1000 suite, Diamond Aircraft also allows any G1000-authorized avionics shop to perform warranty repairs or continuing service on the avionics. Of course, performing pitot/static certifications may require specialized equipment or procedures. An avionics shop should contact Diamond Aircraft before contemplating any installations or specialized maintenance procedures. Eclipse Aviation has teamed up with leading avionics suppliers to develop the integrated Avio NG system. These suppliers include, Innovative Solutions & Support, Honeywell, Chelton Flight Systems, Garmin International and PS Engineering. Designed by Eclipse Aviation exclusively for the Eclipse 500, the Avio NG avionics suite provides redundant computer systems, and advanced data and power distribution systems. The Avio NG integrates technology throughout the entire aircraft, including avionics, engine operation, fuel system, flaps, landing gear, cabin pressure and temperature. The cockpit features two PFDs and one MFD, which are controlled by selection keys and knobs on the displays or by a keyboard at the pilot position. The PFD and MFD provide the pilot with high-resolution display of all flight parameters, engine/system performance data and total system control. Since the Avio NG system is integral to the control of just about every electronic system on the aircraft, Eclipse Aviation will promote service and repairs through their own service centers located strategically throughout the world. Operators who prefer to coordinate or perform their own maintenance can have their mechanics trained by Eclipse through their Eclipse Designated Repair Technicians (EDRT) program. Trained EDRT mechanics have full access to Eclipse technical representatives for support. And just newly unveiled, the Eclipse Concept Jet (ECJ) is a single-engine, four-place aircraft created as the ultimate tool for evaluating the emerging single-engine jet marketplace. While the ECJ represents Eclipse's vision of what a single engine VLJ should be, it is currently not available for sale. Instead, the ECJ is being solely used for market research. But wow, the curvy single-engine jets are definitely raising the level of ramp appeal. Embraer’s Prodigy™ flight deck is based on the Garmin G1000 avionics system, offering new levels of integration, display flexibility and monitoring of aircraft systems. The system features three 12-inch displays, two Primary Flight Displays (PFD) flanking one Multi-Function Display (MFD). The system integrates all primary flight, navigation, communication, terrain, traffic, weather, engine instrumentation, and crew-alerting system data on high-definition displays. Garmin’s new GFC 700 fully-digital, fail passive Automatic Flight Control System (AFCS) is controlled from the glareshield while a panel-mounted, alpha-numeric keypad allows complete FMS control, in addition to the bezel controls on the PFD and MFD. In addition, the Phenom 100 offers dual AHRS, dual RVSM-compliant DADCs, EICAS, Mode-S transponders with TIS, TAWS-B and WAAS-capable GPS receivers. And if that wasn’t enough, standard equipment also includes satellite datalink weather, music and onboard RADAR. Epic Aircraft, of Redmond, Oregon, produces kit-built and certified aircraft for general aviation. Their newest entry into the VLJ market, the Elite, marries a spacious carbon composite design, with two Williams FJ33-4A FADEC-controlled engines for a smooth ride up to Flight Level 410. The carbon composite construction requires no rivets or stir welding, producing a smooth and fast airframe for 6-8 people. The single-pilot certified cockpit sports a three-screen Garmin G1000 suite. Dual Primary Flight Displays flank a central Multi-Function Display. Specific details of the full functionality are not available at press time, but Epic will make an announcement shortly. The new Elite will be available as a 6-place, experimental category jet in 2007, while the 6 to 8-place certified version of the jet is scheduled for 2009. The HondaJet is the automaker’s first entry into the airframe business, although their turbofan engine, the GE-partnered HF-120, has been in development for quite some time. One of the larger VLJs, the HondaJet seats up to seven, including the pilot, with a private aft lavatory and lots of baggage space. Their distinctive wing-mounted engines solve many aerodynamic issues while providing greater baggage space. Combined with their natural laminar-flow fuselage and wing, the head-turning looks are pleasing to both the eyes and air molecules. The HondaJet’s flight deck uses the Garmin G1000 avionics system, featuring two Primary Flight Displays (PFD) flanking a larger Multi-Function Display (MFD). The installation includes the glareshield-controlled GFC 700 fully-digital Automatic Flight Control System (AFCS) and glareshield-controlled dual audio panels. In addition, the HondaJet offers integrated Stormscope, TAWS, Mode-S transponders, RADAR and a Cockpit Voice Recorder if required. First delivery of a HondaJet is scheduled for the third quarter of 2010. As with other VLJs equipped with the Garmin G1000 suite, Honda also allows any G1000-authorized avionics shop to perform warranty repairs or continuing service on the avionics. Although, they will promote owners to let HondaJet service centers carry out all required maintenance. The latest in Piper’s line of innovative products, the PiperJet is based on the successful and versatile Malibu airframe. The single Williams FJ-44 engine is mounted in the vertical tail, ala DC-10 style. The six-seat jet—with an optional seventh seat—includes ample baggage space inside and outside the pressure vessel to accommodate most personal cargo needs. First delivery of a PiperJet is scheduled for the third quarter of 2010. At press time, Piper hasn’t announced an avionics supplier yet. But they’ve already announced the PiperJet will feature Autothrottle, engine trend monitoring, a FADEC-controlled engine, flight into known icing and a performance computer. Stay tuned! Excitement abounds with what we’ll see next.